It is unfortunate that many School Teachers have been placed in a position where they have to be so concerned about their pupil’s exam results and how children ‘perform’. Children work hard all week at school, do their best and then also have homework set to complete at weekends. We know that many parents think this is too much work and too much pressure for our young people. They deserve a childhood!! One teacher, Mrs Thom, obviously understands that having a good life-balance is of the utmost importance to a child’s well-being. Please see the wonderful homework letter below that Mrs Thom gave out to all the pupils in her class prior to their latest exams. Mrs Thom you’re absolutely wonderful and exactly the kind of teacher we need for our children! 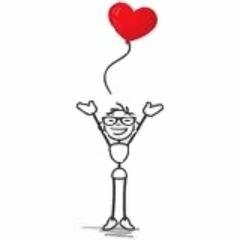 Giving children permission to be children instead of test taking machines – what a concept. This is absolutely awesome! Very poignant! Lovely! Children should be children! i wish my teacher would do this. 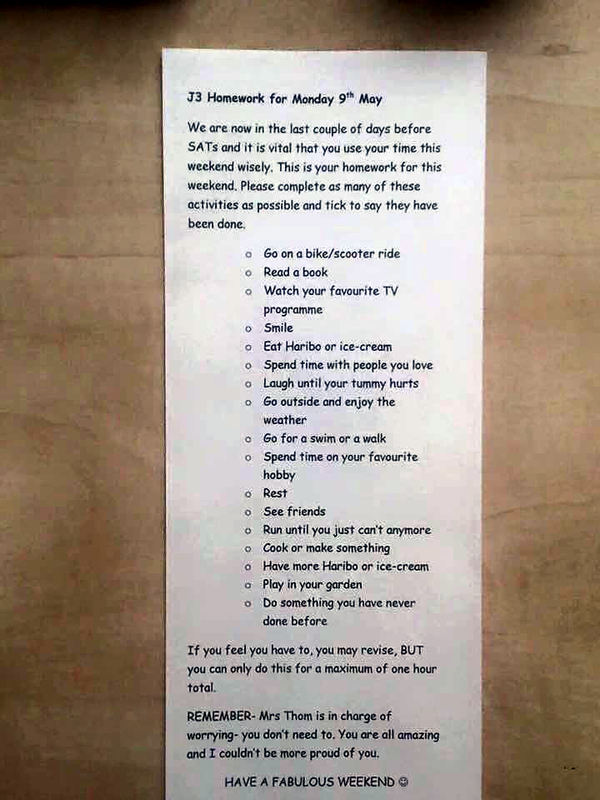 Homework Letter for the Weekend Before the Big Test–I love this teacher!